Goo is a fun and exciting game for individuals of all ages. Players enter a magical and colorful world where they link “Goo Balls” together in order to create interesting and unique structures and is now available for your Android too. It is definitely a game of concentration, and it offers hours of fun for the player. 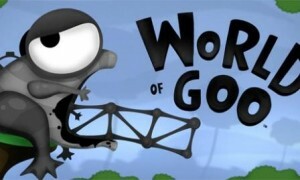 This game can become quite challenging, and players that are particularly in need of an extra challenge can simply turn on Goo’s “OCD Mode,” which adds a fun menu of extra challenges that really work the player’s mental muscles. The name of the game is to conquer each level and continue on, and each level is a bit more challenging than the last. In order to successfully conquer the game of Goo, players simply need to focus and make sure that each structure is properly built and not letting gravity or friction take over and destroy what they have built. Goo is educational as well as fun, and physics play a big role in moving up in levels. By using intellect as well as common sense, players can definitely conquer this interesting and whimsical game. The main objective to the Game of Goo is to move a certain amount of “goo balls” to a pipe that represents an exit. In order to make it to the exit, players are required to create structures including bridges and towers which will in turn allow them to safely cross over mountains, hills, and rough terrain. If there are any goo balls left after the formation of the structure, they are sent through a pipe to the “World Goo Corporation”, where they are stored in an area that allows for players to interactively play against one another and use the goo balls to create tall towers. Whoever creates the tallest tower is the winner of the challenge. When playing in OCD mode, players have the opportunity to win an “Obsessive Completion Distinction Flag”, which represents the extra challenges given to the OCD player. There are a total of 48 levels in this game, and the interesting part is that the levels are actually part of four distinct chapters. The game tells a story, and there is even an epilogue. It takes place over an entire year, and the fourth and final chapter takes place in a world that is void of seasons and completely virtual. Once a player completes the final level in the final chapter, they have successfully conquered the game. This can take some time, but the World of Goo is so magical and amazing, that players are more than happy to stay in this world as long as they need to. The nice thing about the World of Goo is that there are so many facets to this game, that everyone’s a winner! It is a beautifully designed game that teaches physics in a fun and interesting way, and the deeper you get into the game, the more you learn. Goo is a wonderful game that definitely stands out from all the rest.